Make it easy for your guests to find a place to stay near your wedding! 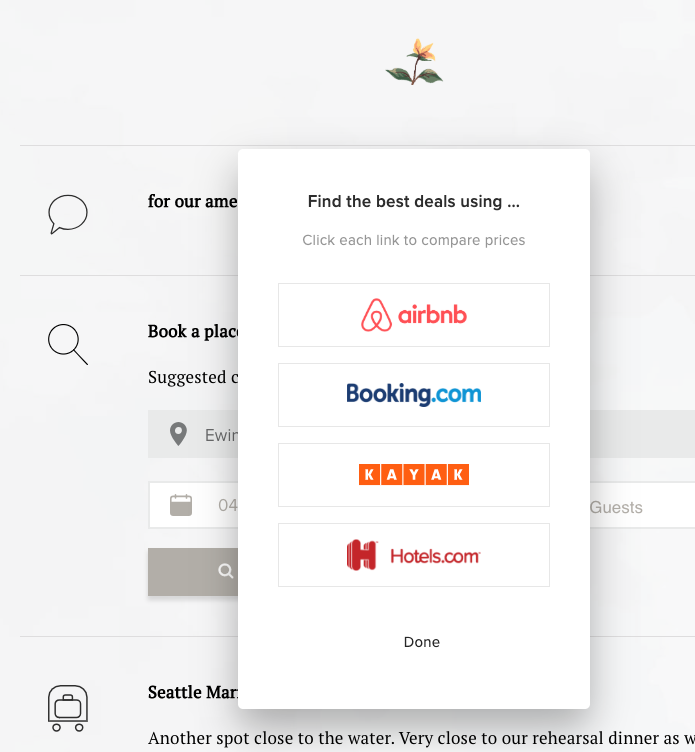 We've added Airbnb and Kayak to the mix! 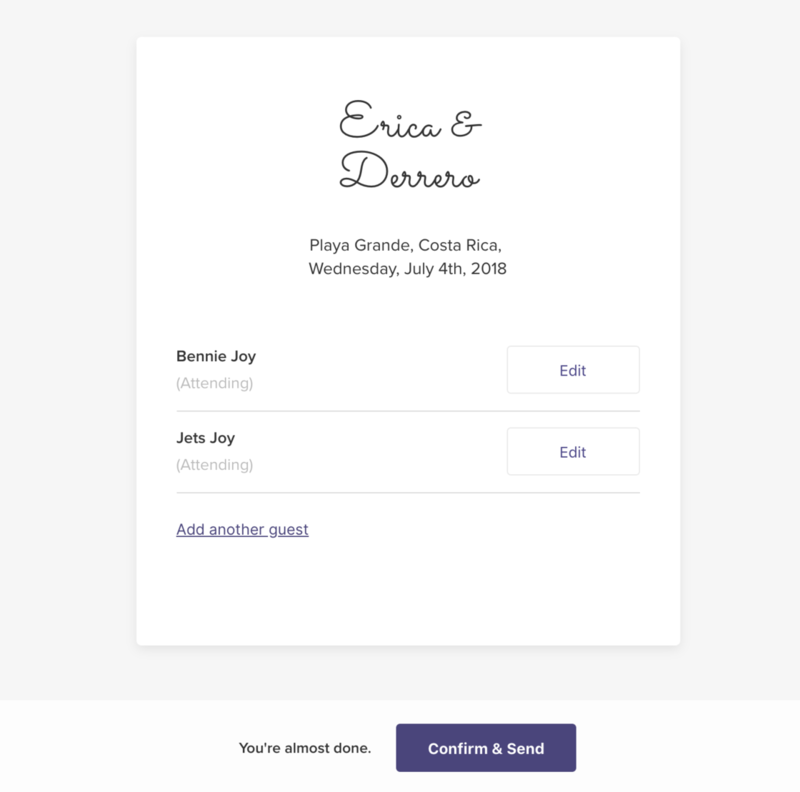 We added a progress bar to RSVP to make it more clear when guests are in the rsvp process. 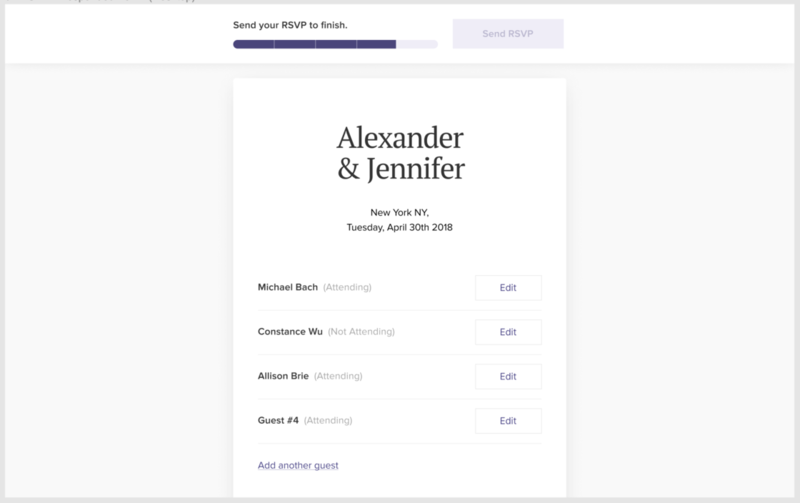 Fixed bug with warnings users who are RSVPing to use their first and last names only, instead of "and"
We've updated the design of RSVP to make it easier for guests to submit their responses. 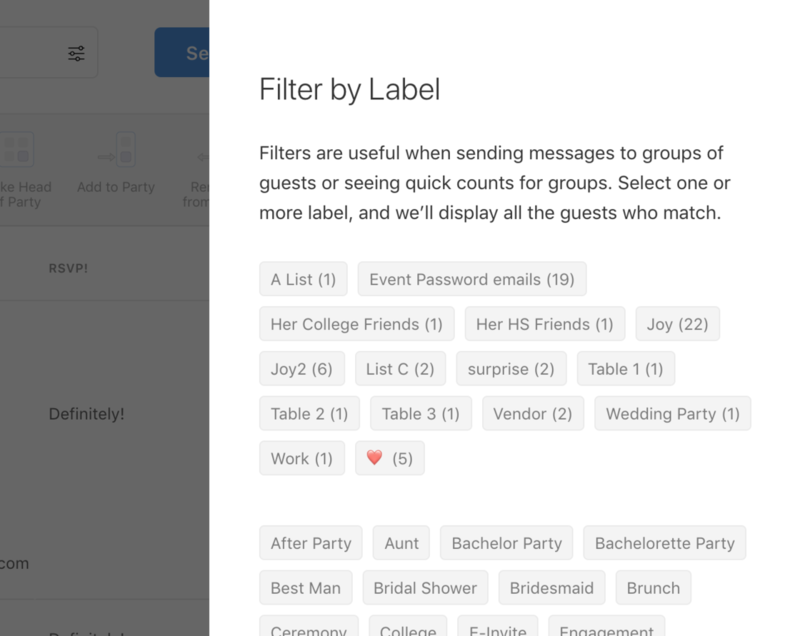 For any new guest who signs up with Facebook after today, wedding admins will be able to view their linked Facebook profile (on the Guest List). Improvement We've split up your guest labels, so you can more clearly see your most frequently used labels. Improvement Make it clearer how Joy uses your email while RSVPing. Surely Joy will start publishing changelogs very soon.